The culmination of a century-long quest and the starting point for a completely new chapter in our exploration of the Universe. It has already been called the scientific breakthrough of the century: the detection of gravitational waves. Einstein predicted these tiny ripples in the fabric of spacetime nearly a hundred years ago, but they were never perceived directly until now. Decades in the making, this momentous discovery has given scientists a new understanding of the cataclysmic events that shape the Universe and a new confirmation of Einstein’s theory of general relativity. 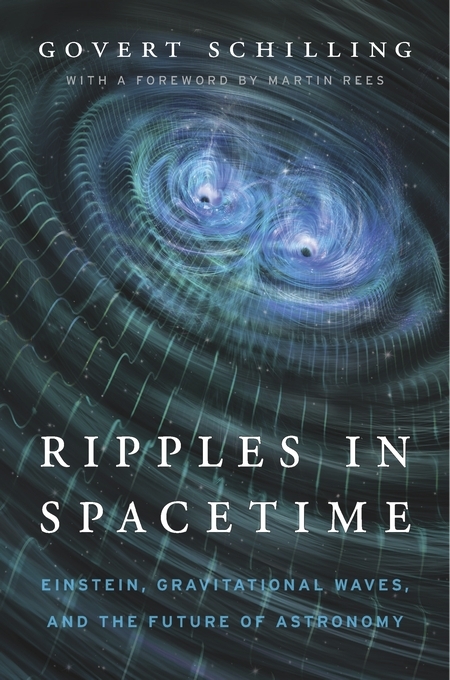 Ripples in Spacetime is an engaging account of the international effort to complete Einstein’s project, capture his elusive ripples and launch an era of gravitational-wave astronomy that promises to explain, more vividly than ever before, our Universe’s structure and origin. The quest for gravitational waves involved years of risky research and many personal and professional struggles that threatened to derail one of the world’s largest scientific endeavours. Govert Schilling takes readers to sites where these stories unfolded – including Japan’s KAGRA detector, Chile’s Atacama Cosmology Telescope, the South Pole’s BICEP detectors and the United States’ LIGO labs. He explains the seeming impossibility of developing technologies sensitive enough to detect waves from two colliding black holes in the very distant Universe, and describes the astounding precision of the LIGO detectors. Along the way Schilling clarifies concepts such as general relativity, neutron stars and the Big Bang using language that readers with little scientific background can grasp.